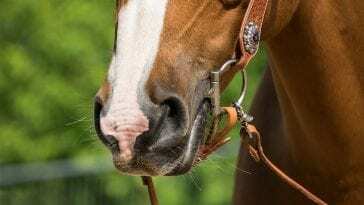 As any horse lover knows, the tension between mustang advocates and the Government is steep right now, as herds across the country are being rounded up, some with intent of eradication, in places like Salt River Arizona and Pryor Mountain, Colorado. 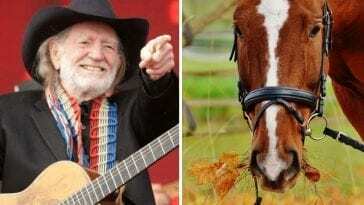 I live in Oregon, where some of the most famous mustangs of all reside – the Kigers. Along with them, we have many other herds of mustangs…and the same problems: too many horses, not enough range and very different views on what to do with them. It’s an emotional debate, with many of us seeing these beautiful creatures as living embodiments of our country – something that deserves our respect and protection. 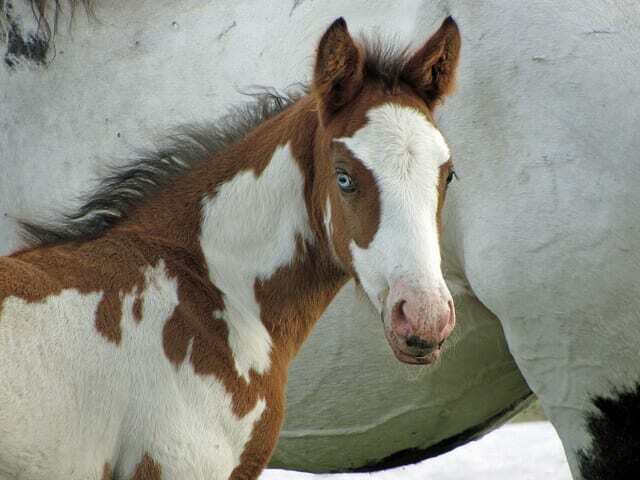 Some go as far as thinking the wild horses should be left “alone and untouched.” What’s the problem with that? “We have heard this statement on more than one occasion. This however is an opportunity for us to help educate the public on what hardships the mustangs and tax payers are facing. 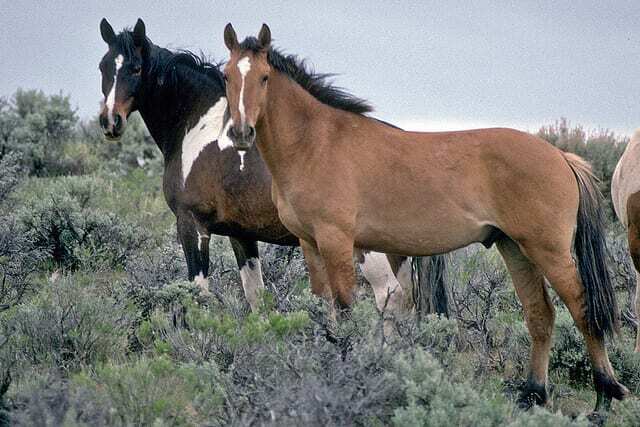 According to the BLM in March 2015, there are 58,150 wild mustangs and burros roaming freely, which is 31,435 more than what the lands are capable of healthily maintaining. There are also another 47,000 mustangs and burros in the holding facilities like the Burns BLM corrals that cost tax payers $77 million per year to feed and care for. Unfortunately, if we left the horses ‘alone and untouched’ many would starve or die of dehydration. 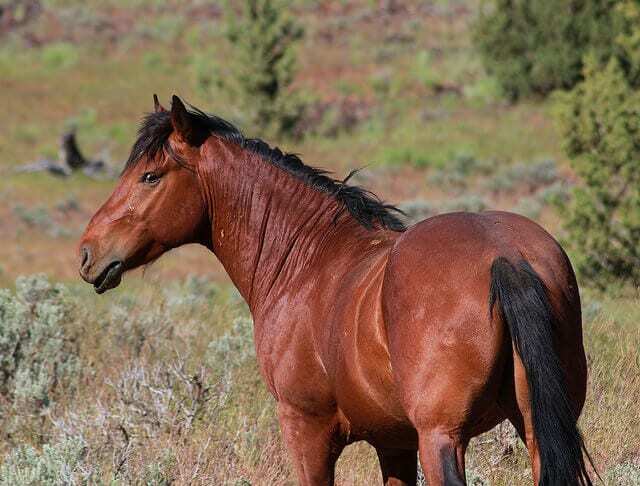 We are helping reduce the number of horses in the holding corrals through our program and hopefully encouraging others to adopt outside of our program as well.” – Rose Mertin, Vice-president of Teens & Oregon Mustangs. The program Mertin is referring to is the Teens & Oregon Mustangs Program, a one-of-kind venture that pairs up teenagers with a wild mustang. They have 98 days to gentle and train the horse, before a giant horse show and auction at the end of summer. While at a recent rodeo near my home, I encountered the group and was able to meet two of the mustangs – standing calm and undisturbed by all the noise and commotion going on around them. It made me curious to learn more about this program and so I interviewed Mertin to learn more about what they do and how it’s helping the Mustang. Are all the Mustangs local Oregon mustangs? RM: Our mustangs are all from the Burns BLM corrals in Burns, Oregon. There are 19 different herds across Oregon, 17 of which are gathered from and housed in Burns. We work closely with the wonderful team at the BLM to help find these Oregon Mustangs adoptive homes. RM: Our founders, Erica & Josh FitzGerald, travel to Burns each year to pick up the mustangs for our program. They have a close relationship with the BLM staff and work together to select the horses for our program. We only chose plainly colored brown and black horses because they tend to be the harder mustangs to adopt to the public. We use a lottery system to select which mustang is paired with each trainer. Do the teens have to have a place to keep the mustang during training or do you have a ranch? If you have a place, do they pay for board? RM: In order to be selected as an approved trainer in our program the applicants must fill out a BLM adoption application, along with a Teens & Oregon Mustang application, which requires them to state that they have facilities required by the BLM to house a wild mustang. The teens pick up their mustangs and take them back to their approved facilities or homes. Some of the trainers do board at the FitzGerald Farm’s barn. Each trainer is responsible for the housing costs associated with their mustang for the summer (board, feed, medicine, etc.). 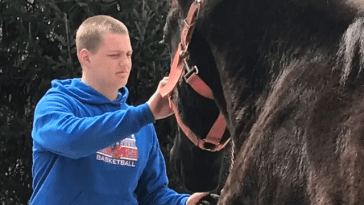 Teens & Oregon Mustangs does help try to offset some of the costs. The divisions sponsored by the Mustang Heritage Foundation receive a $200 stipend. This year, all of the trainers received a $200 gift card from our Premier Sponsor Coastal Farm and Ranch. Coastal has been so supportive and have presented the trainers with lots of supplies such as helmets, wormer, buckets, jackets, brushes, halters and lead ropes and much more to help offset the trainers costs. They have been instrumental in making this the best year yet. Also, Purina Feeds and Old Mill Feed & Garden have donated feed to the trainers along with coupons and a vest. We are very grateful for our amazing sponsors! 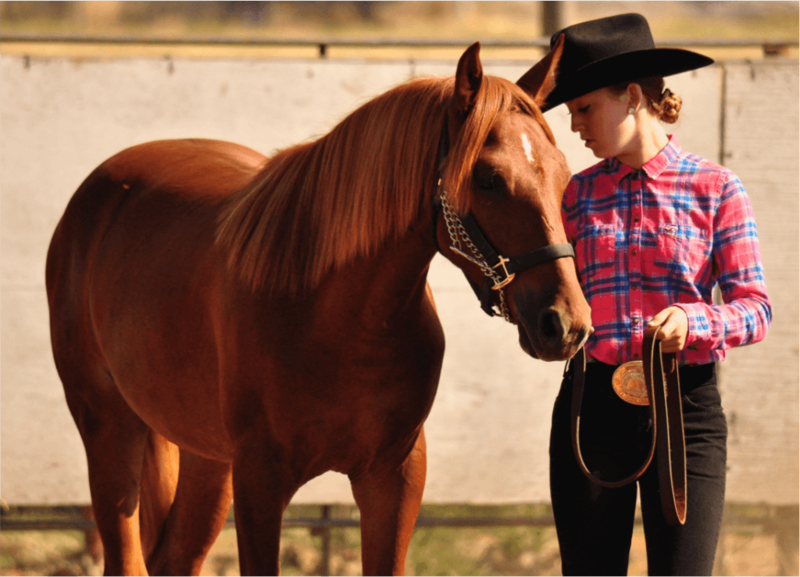 Do the teens need prior horse experience? RM: The teens don’t have to have previous training experience but they do need previous horse experience. We believe this is essential in helping keep both the trainers and horses safe. 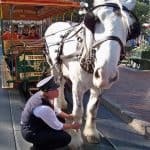 We have an application process to select our trainers and there are a variety of questions related to their horse experience. Can the teens keep their mustang if they wish, or do they have to auction them off at the end? RM: One of our favorite things is when a trainer decides to keep their mustang! On average, about 30% of our trainers decided to adopt their own mustangs each year. The trainer is only required to pay the $25 BLM title reassignment fee. The other mustangs are available for adoption through our live auction at the conclusion of our competition. The proceeds from the sale of each horse goes to the trainer minus the $25 title fee. This is another opportunity we have created to help offset some of the costs our trainers have from over the summer. What are some of the positives that you have seen come out of this program? RM: We have had some very positive experiences result from our program. The first would be the individual trainers’ experiences. Each year we receive letters from trainers in the program thanking us for giving them the best summer of their life! The trainers not only increase their horsemanship skills but they also learn about commitment, dedication, patience and love. We also provide them with opportunities to increase their sales skills, public speaking skills, volunteer experience and introduce them to potential life-long friends through the other trainers. Next of course is the mustang. We have provided new adoptive homes to over 150 wild mustangs in the last 6 years and plan to add another 34 to the list this summer. We have given mustangs who may have been picked last in the corrals, just because they aren’t flashy colored, a step up in their adoptability by showcasing what trainable and lovable animals they are. 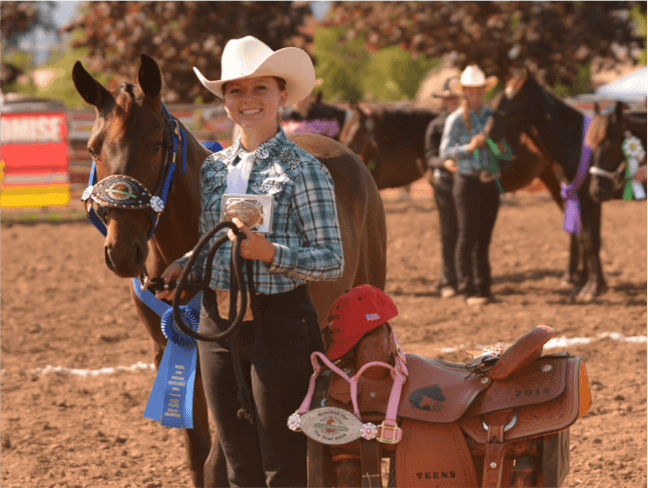 Each year we have mustangs in our program who qualify for State 4-H fair and many have earned medallions at State Fair competing against domestic horses. How do you think this helps the wild horses? RM: One of our values is Public Awareness – Educate the public about Mustang horses, heritage, and management and the related management of natural resources. We are helping shed light on the over population of the wild mustang while demonstrating that mustangs are a versatile and loyal breed. 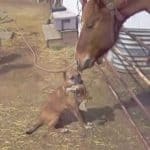 There are a surprising number of people who are unaware that wild horses still exist in the US, let alone what kind of hardships they are facing. We hope that this program has created another avenue that gives the mustang a voice and helps find them adoptive homes. Oregon Public Broadcasting did an amazing documentary on one of the girl’s working with her beautiful bay Mustang with one blue eye. You can watch the 30 minute video here. Not a teenager and feel like you missed out? Now they have an adult program so be sure to check that out! 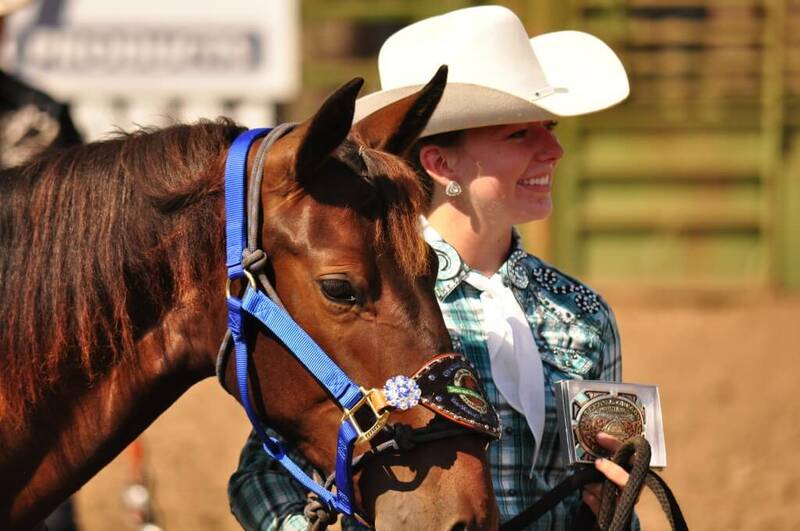 If you live in Oregon, be sure to attend their upcoming Wild Mustang Training Challenge and Auction, which will showcase this year’s trained horses. It will be held on August 22, 2015 at Linn County Fair & Expo Grounds in Albany, Oregon. You can also help be volunteering and donating to the program.